So last Friday Austin got attacked in the morning by a Mastiff and in the evening by some old shepherd mix dog. The latter pierced his ear. The photo is after he was cleaned up and stopped splattering blood everywhere with every shake of his head. Normally I would say he provoked the attacks but in neither case were we engaged with the other dogs until the pounce happened. It was suggested to me that the coinciding fall equinox and full moon made dogs crazy that week. 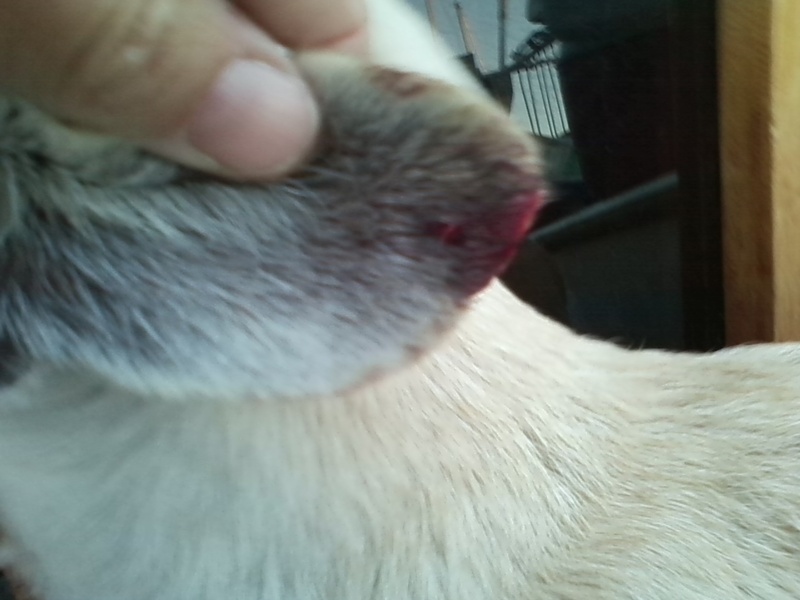 More than a few of our dog park pals had wounds on them. I just felt grateful that the owner of the dog who got the bite in paid for the trip to the vet to stop the bleeding. This entry was posted on Monday, September 27th, 2010 at 1:34 am and is filed under Crew and Guests. You can feed this entry. You can leave a response, or trackback from your own site.